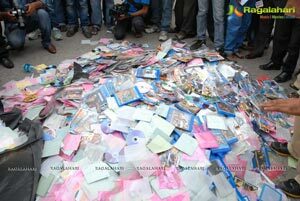 An anti-piracy press meet was held today (September 15, 2012) in Hyderabad in which Ashok Kumar, Vikram, Vivek Kuchibotla, Vijayendra Reddy and others participated. 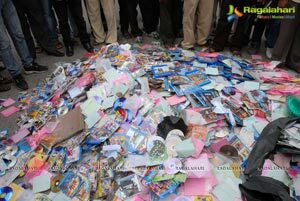 The anti-piracy press meet was held on the occasion of arresting a 19 year old Alluri Venkata Ashok Varma for delivering pirated movies like the recently released ‘Sudigadu’ and ‘Shirdi Sai’. 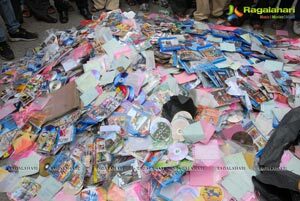 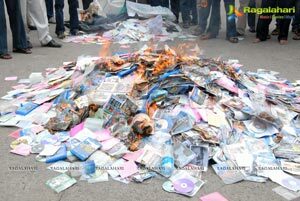 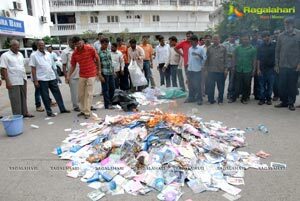 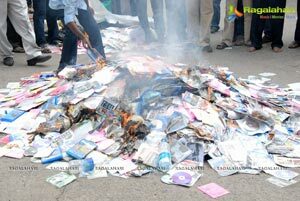 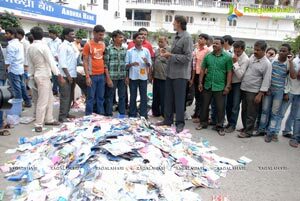 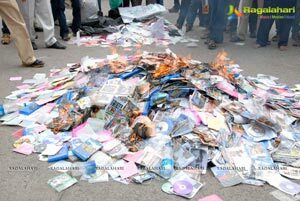 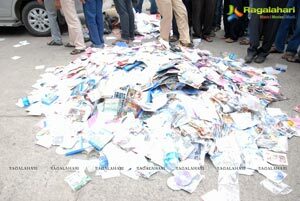 In the end Ashok Kumar burnt all 23,000 CDs at Film Chamber office in Hyderabd.